Jakarta (VNA) – Vietnam stood at the 17th place in the medal standings of the 18th Asian Games (ASIAD 2018) on August 21 with another two silver medals and one bronze medal but some of its golden hopes suffered failure during the day. 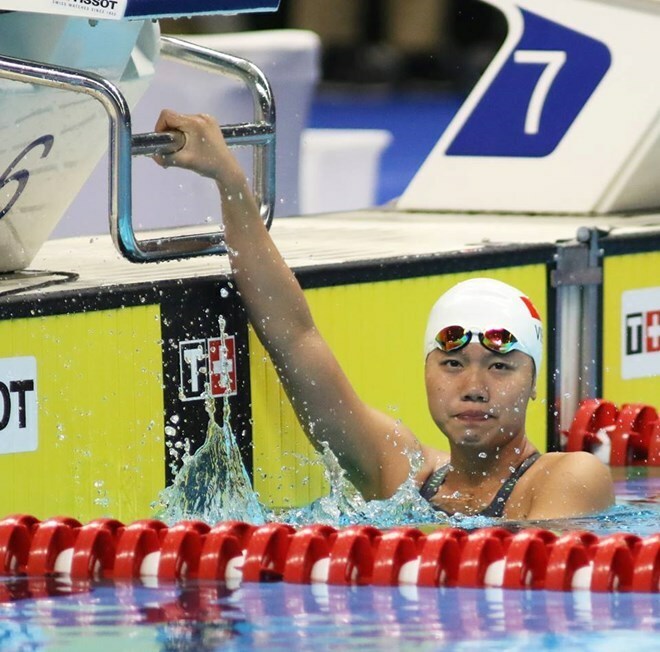 Swimmer Nguyen Thi Anh Vien entered the final of the women’s 400m medley – the category she won a silver in the last ASIAD in the Republic of Korea four years ago. It was hoped that she can change her medal’s colour this year but Vien finished only fifth. Another golden hope of Vietnam was marksman Hoang Xuan Vinh who was gold medallist in the 10m air pistol event at the Rio 2016 Summer Olympics. However, he failed to advance to the final of the same category, ranking ninth in the qualifying round. In the men’s nanquan – nangun event, wushu artist Pham Quoc Khanh pocketed a silver medal with 19.42 points. Duong Thuy Vi brought home a bronze medal in the women’s qiangshu wushu event. Weightlifter Trinh Van Vinh clinched a silver medal in the 62kg category with a total lift of 299kg. The same day, the women’s football team of Vietnam lost 0 – 7 to Japan but was still qualified for quarterfinals when standing in the second place of group C. They will face Chinese Taipei, which ranked second in group A, in the next round. Vietnam was in the 17th place in the medal standings with three silver and four bronze medals as of 10pm of August 21.